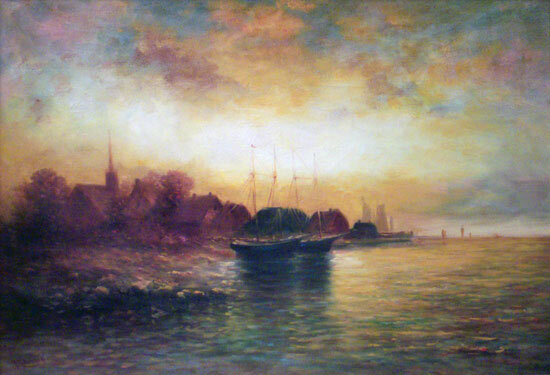 Known for painting dark, evening landscapes as well as boats, harbors, and Native Americans. 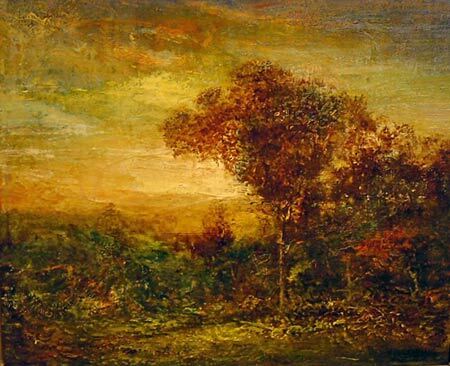 Style and subject matter was similar to Ralph Blakelock. Lived in New York City in 1924. In the collection of: The University of Michigan Museum of Art and Sheldon Memorial Art Gallery. 35.5" x 28.5" (with frame), s.l.l. Liner bears plaque with title.